As soon as you return home with the tree, use a saw to make a fresh cut through the trunk’s base an inch from the bottom. Submerge the trunk into a bucket of boiling water or boiling preserving mixture (recipe below). If you do nothing else, do this! It exposes a fresh surface and opens the tree’s pores so that the tree can easily absorb the water or preserving mixture. Keep water or mixture level well above the base of the cut at all times. If the cut base dries out, the sap will harden and the tree will not take in any more water. 2. Stand the tree trunk in the solution. This solution gives the fresh-cut trees more energy to stay fresh. Fresh-cut trees can use corn syrup or sugar as an energy source instead of using up their own stored sugars. 3. Keep the tree in a garage, porch or outside (but out of the wind) for two days. After two days, remove the tree from the pail—saving the solution to add to the tree stand—and bring the tree inside. 4. Choose a tree stand that can hold plenty of water or solution—a fresh tree may soak up a quart or more of liquid per day! Expect a fresh tree to use one-half to two gallons of water the first day you bring it inside. A fresh tree will continue to use water, but at a reduced rate throughout the holiday season. Frequently refill the stand with liquid so that the base of the trunk is always covered. Tip: Avoid displaying the tree near large windows, heating vents or active fireplaces that will expose the tree to sun and heat and cause rapid loss of moisture. I tried this last year and to my surprise the tree lasted from Black Friday all the way through the holidays and then outside on our deck for another 3 months! Every year my husband and debate how long we should keep our tree up for: He likes to keep it up well into the winter, and I like to have my living room back after the holidays. In our new home we have a big sliding door from our living room to our outside deck, so it was perfect to have the tree just outside the house but still visible from the living room. Sometime in March we decided it was time for the tree to go, although it was still as green as ever! (It did lose quite a few needles though). My only regret with keeping the tree up as long as we did was that we discovered that a poor ambitious bird had begun to build its nest among the branches of the tree! So if you’re up for a little extra work up-front, you might get to keep your tree for up to four months like we did! 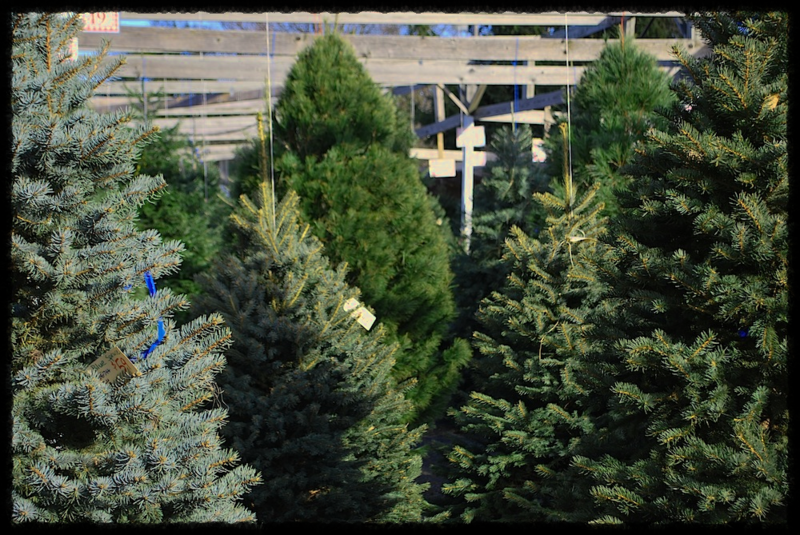 Shopping for a tree at Wolff’s is a really magical experience, too with their rows of beautiful trees in a host of sizes and varieties, including Fraser Fir, Douglas Fir and Concolor Fir. Also, you can pick up a FREE cup of hot mulled apple cider while you’re shopping for your tree. Get in the holiday spirit today by browsing through the Wolff’s Christmas tree selection with a cup of delicious hot apple cider in hand! ← What to do with Thanksgiving leftovers?